You are likely well aware that a visa is a vital document often essential for traveling to other countries. If a U.S citizen wishes to travel to India, they must have a valid international travel document. Normally, you can get by with a national passport along with a valid visa which you gained from an Indian Mission or Post when you were abroad. Nowadays, the easiest route to get a visa is online. If you currently live in the United States of America and have the desire to visit this exceptionally beautiful and culturally diverse part of the world, you can make an application for an Indian Visa or an E-tourist Visa (ETV) online. The Indian Government offers an extensive selection of visas; these include employment visas, entry visas, transit visas, research visas, business visas, emergency visas, medical visas, diplomatic visas, and the list goes on. Once you have made your application, the Indian Mission/Post takes at least three days to issue you with a visa. There are however special cases which are an exception to this time frame. As far as the requirements go, there are some basic things you need to know. Make sure that you submit the documents for your Indian Visa on the date scheduled for your interview, also provide any other supporting documents which are required. For example, your passport, birth certificate or national form of identification. Applications are made on an individual basis, so anyone else who accompanies you and also wishes to acquire a visa must make their application. Before you submit your details online, make sure you verify them, if you want you can save the document online for verification and completion later. As well as the ETV, you can also apply for a standard visa at any Indian consulate or embassy in America. In this case, you cannot give hand-written information. If you wish to follow this route, you will firstly need to download the application form which can be found on the official Indian Government website. The completion of this application form is not meant to require you to leave behind any information. Once you have completed the Indian Visa application form, submit it to the appropriate Indian Visa Application Center (IVAC), alternatively, if there is not a suitable IVAC, you can take it directly to the Indian Port/Mission. Once you have submitted the Indian Visa documents, you cannot make any further changes, so make sure that you have double-checked all of the information you have provided, this will minimize the risk of a visa denial or cancellation. When you submit the application as a US citizen or resident, you will receive online an application id, make sure you keep this to make any further contact with the Indian Government easier. If you wish to at any time, you can make an appointment with the appropriate Indian Port/Mission. As is the case for applications, interviews should be on an individual basis. On the above link for online registration, there is a mission tab that can point you in the right direction for the Indian Mission you should make your application with. If the photograph you provide, or the details you give, are not clear, your application may be rejected. Hence, paying close attention to detail when following the instructions is vital to avoid a disappointment down the line. 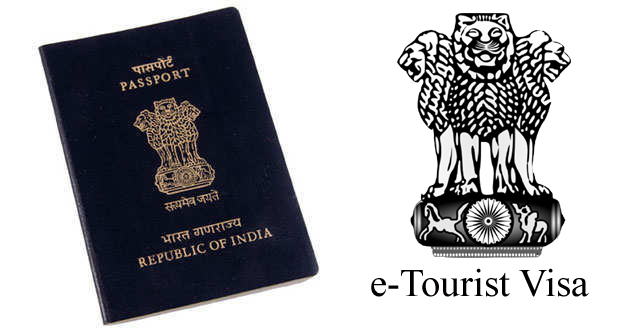 The fee for an E-tourist Indian Visa will vary, dependent on the country of residence, applications from the U.S meet specific price in USD, besides, a bank transaction fee will be charged. Make sure that all charges are cleared a minimum of four days before you arrive, if not, your application will not get processed. Fees for an ETV are non-refundable since they are not reliant on Rejection of Visa or Grant. The internet provides the easiest way to apply for a visa; ensure that you have scanned your passport to a pdf document, in the photograph you should be looking straight ahead, have open eyes, and be against a white, not colored, background.